Home Health McDonald’s French Fries Contains Chemicals and Silly Putty Ingredients? McDonald’s French Fries Contains Chemicals and Silly Putty Ingredients? 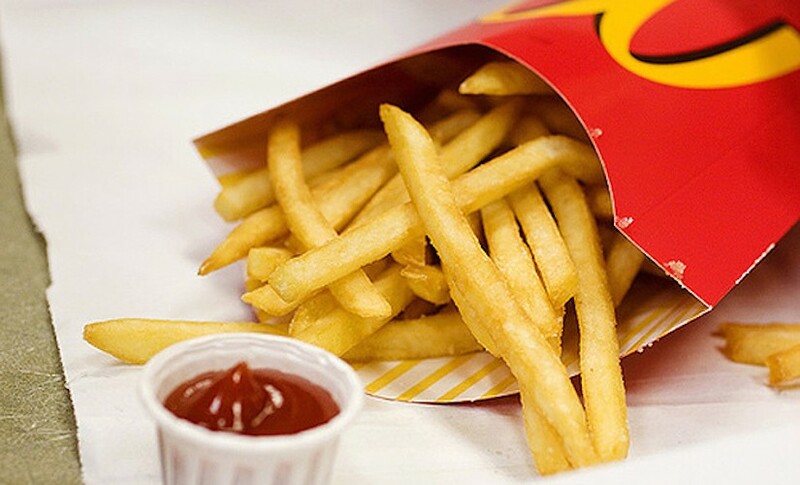 French fries are a staple food in North America! Who doesn’t love eating french fries, really? Al fast food chains carry them for this reason. Well, the guy from MythBusters decided to look into McDonald’s fries…and found there are 19 ingredients on the list to make McDonald’s fries! Whatever happened to just potatoes, right? Well, you will be shocked at what is all the list, especially since 2 of those ingredients are petroleum chemicals and silly putty ingredients. Learn what Grant Imahara, host of the eye-opening show Mythbusters found out in his investigations all on the Next Page. Actually it is true. Google it. Myth busters has videos and proof. A competent list of ingredients. FDA feels they are safe limits to consume. Yet they’re still healthier than I thought. Could be true! Coz it’s not a real potatoes! Googled this and the video I found of the myth busters guy states nothing of the sort. http://time.com/3675518/how-mcdonalds-makes-french-fries/. This states the same thing they showed during training when I worked there in the 90s. Can’t understand why people still go there. You$#%&!@*s. Stupid$#%&!@*people. Why do yous do this to children? I wonder what frozen fries you buy at the store contain? Too bad they don’t use just potatoes huh! I thought french fries wre cut potatoes. Why can’t real plain food be available?Why all the chemicals?